It seems strange to wish Happy Birthday to a person I never met. As odd as that is, it feels like I know him. When I see him from afar, and by that I mean on TV or on the internet, his warm smile and calming voice makes my day's troubles and problems less. In a world that's becoming more unstable and unpredictable, I can rely on his bright, inquisitive eyes to put those worldly issues aside, if just for a little while. Reading vicariously through other people's accounts of how considerate he is makes me very happy that someone like him is in the world. Elijah has a very special gift lacking in so many others. 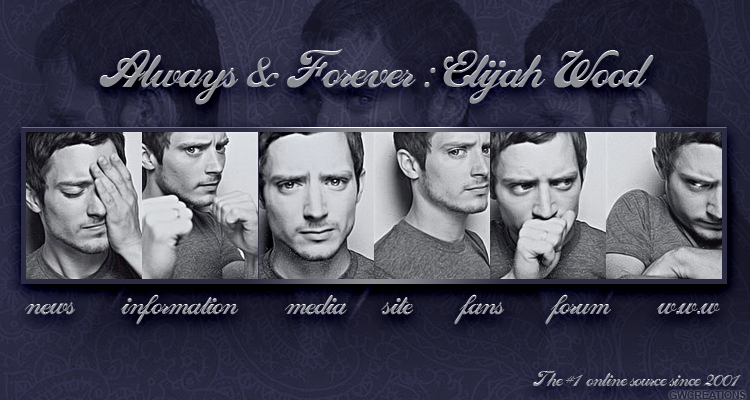 Elijah is a gift that should be treasured. I want to wish a very Happy Birthday to you, Elijah. God bless. I met Elijah very briefly for the first time last year. As nervous as I was to ask for a photo, he was extremely kind and said "sure" with the friendliest tone and smile. I know he's asked that question more times than can be counted but he put me at ease quickly, though admittedly, I was still nervous. I know he's a big Hollywood actor, but he's also a sweet, friendly man. I don't know if he'll ever read this, but I just want to say thank you again Elijah for being so kind. We need more like you! Happy Birthday!